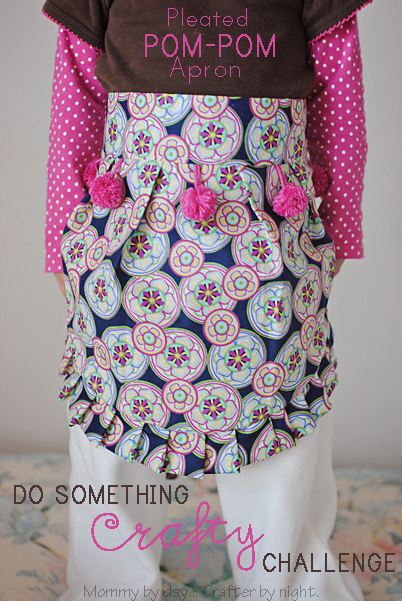 I recently participated in a crafting challenge over at The Crafty Nest Blog called the Do Something Crafty Challenge. I along with 3 other talented craft bloggers got sent a mystery package of supplies to make something crafty with. Inside the package was a yard of fabric and a skein of yarn. I decided to make my oldest daughter an apron so she can cook with me.